dFakto in top 10 GDPR solutions providers ! 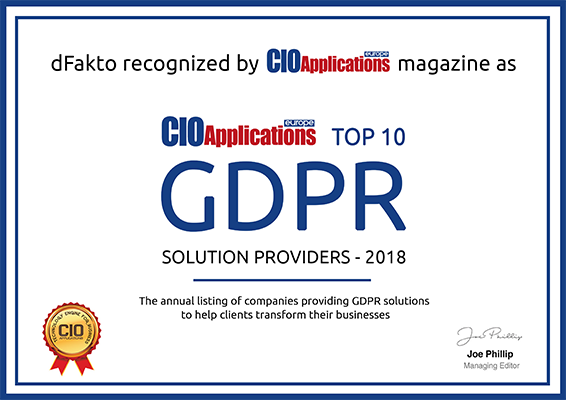 dFakto is proud to be part of the TOP 10 GDPR solutions providers established by CIO applications! The all in one GDPR solution does not exist! That’s why dFakto has developed an agile and innovative solution based on its recognized expertise in steering governance! To be effective, GDPR compliance needs to be assessed, driven at different levels of the company, and measured continuously. dFakto’s GDPR solution integrates every essential modules for a successful evaluation and ensure your compliance over time! With strategic partners, dFakto solution integrates the mandatory modules to manage the GDPR and other regulations that affect your business. By combining recognized expertise with a flexible and scalable solution, dFakto has integrated the TOP 10 GDPR solutions! Check out the intervention of the CEO of dFakto Thibaut de Vylder for CIO applications. 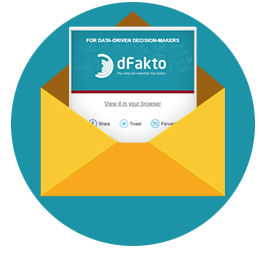 Ensure your GDPR compliance with dFakto’s solution by clicking here! GDPR is not a problem anymore thanks to dFakto solutions ! dFakto is a consulting company that helps companies make better use of their data, through innovative technological solutions. © Copyright - dFakto 2018.